KAINE: I'M SORRY WHAT? DID WE NOT JUST WATCH THE VIDEO PROOF OF THE WORDS COMING FROM MR. TRUMP'S MOUTH?? 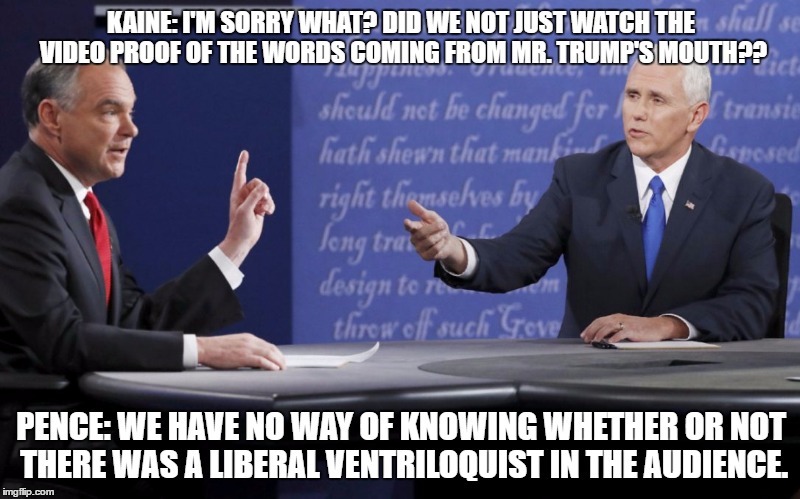 PENCE: WE HAVE NO WAY OF KNOWING WHETHER OR NOT THERE WAS A LIBERAL VENTRILOQUIST IN THE AUDIENCE.